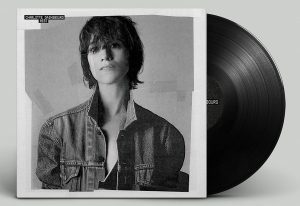 Actress and singer Charlotte Gainsbourg talked about the music and films that have influenced her when she stopped by the Wired studio recently to guest-DJ the Playlist podcast. Gainsbourg, who starred in Lars von Triers’ Antichrist last year, played a track from her latest record, IRM, which was co-written and produced by Beck; a tune from Radiohead’s OK Computer; and a song by her father, French musician Serge Gainsbourg; among others. After complications from a waterskiing accident nearly took her life, Gainsbourg found no shortage of emotion to draw upon when she entered the studio to record IRM. The album’s title is taken from the French abbreviation for magnetic resonance imaging — a process she became familiar with during her long hospital stint. Gainsbourg described her song “Time of the Assassins” as having an element of “fantasy” to it. The track’s washed-out reverb chorus and resonant organ chords certainly evoke ethereal sensations. Keeping with the theme of collaboration, Gainsbourg talked of her work with Todd Haynes, director of Bob Dylan biopic I’m Not There. In the film, the folk singer is portrayed by multiple actors over the course of his life. Gainsbourg played Dylan’s wife in the scenes where Heath Ledger took on the role of Dylan. “It was a very special film for me,” she said. While shooting, Haynes made the actors playlists of songs that would relate to their respective characters. “Sarah” was one of Gainsbourg’s songs. Anyone who has seen The Blues Brothers ought to recall Cab Calloway stalling for time with his hit “Minnie the Moocher.” Gainsbourg, however, was introduced to the big band classic through another iconic character of the silver screen — Betty Boop. As a child, Gainsbourg would watch Betty Boop cartoons with her father. One episode in particular “was very memorable, because of this song,” the singer explained. When Gainsbourg recently rediscovered the song, it brought back a flood of memories — she compared hearing the song to smelling a familiar but long-forgotten scent. A character from 1949 Orson Wells movie The Third Man inspired this choice. The song, called simply “The Harry Lime Theme,” is a jaunty classical-guitar tune. “It’s one musical sentence that gets to you and that you can’t forget,” Gainsbourg said. Despite his demons, it can’t be denied that Babyshambles’ Pete Dougherty knows how to write a song. Gainsbourg said she loves the charisma in his voice and in his “wildness.” She picked “Back From the Dead,” a jangling, bouncy track from Babyshambles’ debut album. While recording IRM, Beck did his best to introduce Gainsbourg to some of the blues musicians that have influenced his sound. Gainsbourg discovered Elizabeth Cotten while researching blues singers online. She chose “Shake Sugaree” for it’s memorable vocal performance. “I think there’s a fragility in the voice that I love,” she said.